There is nothing better than sitting by a fire on a cool evening roasting marshmallows with family and friends. Fire Pit Art was born at such a gathering when Rick realized he could make something bigger, better and stronger vs the tiny store bought brand his family was huddling around. 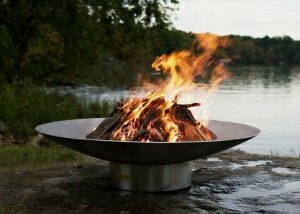 Rick Wittrig has created steel fire pit designs that will naturally last a lifetime using 1/4-in. thick carbon steel. All fire pits have a natural iron oxide patina on the outside which will darken a little with time then become permanent. The inside is coated with a high temperature resistant paint and each design has a rain drain in the bottom. His designs have been showcased during the Vancouver Winter Olympics, hotels, restaurants & lodges from Australia to Europe. 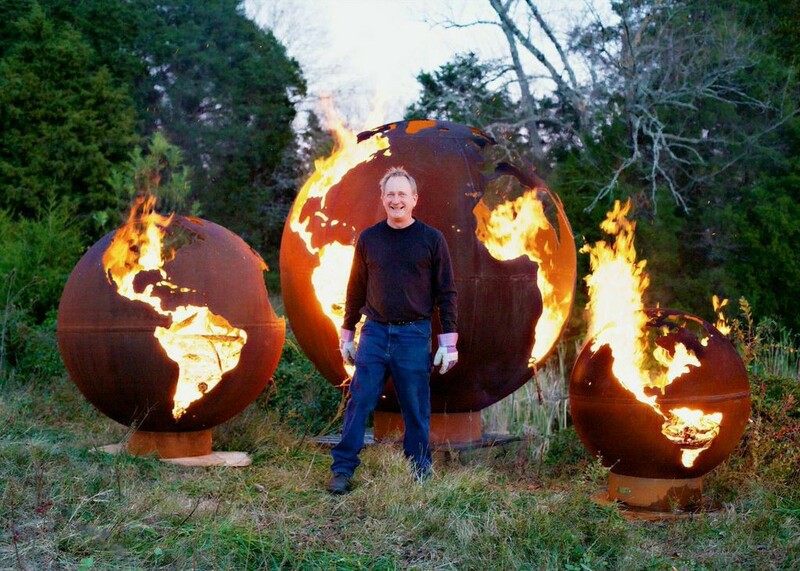 Each Fire Pit is individually tagged and numbered by the Artist. This entry was posted in Artists and tagged artistic, authentic, bespoke, creative fire pits, curated, design, discerning fire pits, fire pit, gallery, innovative, inspirational fire pits, lakeside fire pits, large fire pits, luxury fire pits, party essentials, party fire pits, trendsetter, trusted, unique.